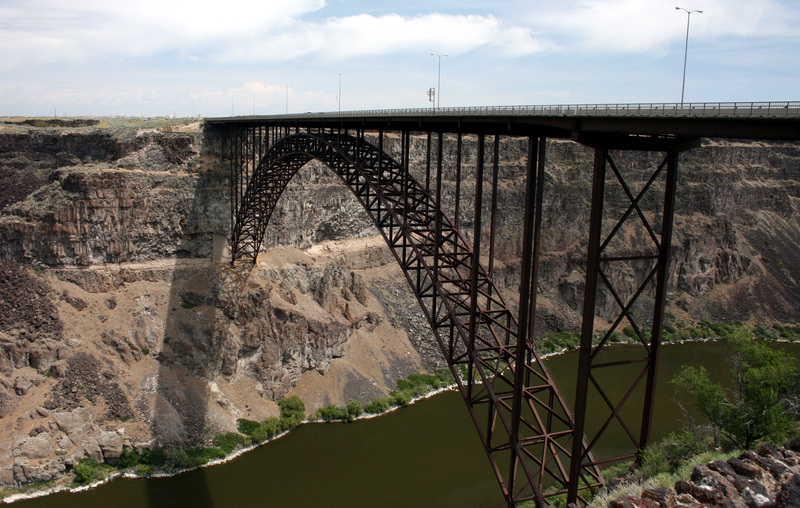 Sheriff’s deputy Charles Franklin Hoop saved a 19-year-old man from falling off a bridge, 486 feet above the Snake River on Dec. 14, 2017, in Twin Falls, Idaho. Hoop, 40, was dispatched to the scene, where a man, who was shouting incoherently, had positioned himself on the outside of the bridge’s railing. Hoop approached the man from behind and stabilized himself by extending a leg through the vertical slats on the railing before lunging forward to bear-hug the man around his chest. The man released his grip and went limp forcing Hoop to support his full weight. Hoop held him against the railing and then pulled the man up and over the railing to the walkway. Hoop was not injured, and the sheriff later stated that by risking being pulled over the bridge himself, Hoop went above and beyond his call of duty.